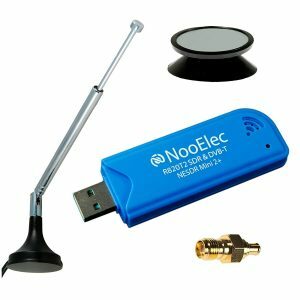 Best Software Defined Radio (SDR) Kit | Get all in one! SDR radio kits serve extremely well for enthusiasts who want another prize added to their collection. They are also very helpful in times of emergency. 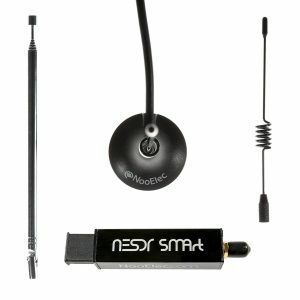 This is a complete SDR kit that comes with 4 SMA antenna adapters, one ANT500 antenna, and HackRF One. It can transmit and receive signals from 1 MHz to 6 GHz and is on par with the latest technologies in the world of radio. You can use this for stand-alone requirements or as a USB device based on your requirements. It has a half-duplex transceiver. Provides 20 million samples every single second. It has 8-bit I and 8 bit Q quadrature samples. It is an open source hardware and has the USB option (USB 2.0). All the programming buttons are easy to use and convenient. The kit does not come with a manual or instructions, which means you have to figure it out yourself. This is probably because it is highly flexible and one manual would not really be of help. The brand clearly states that the user is responsible for the legalities involved when it comes to transmission or radio signals because it has not been tested for it. Also, this kit is on the more expensive end of the spectrum. This SDR kit is apparently an improvement on its previous model. According to the brand, it is better and premium with the SDR in an aluminum enclosure. The kit includes antenna base with 2m RG58 cable, telescopic antenna mast, UHF antenna mast, and 433 MHz mast. It has a USB interface. It comes with a RF-suitable voltage regulator and shielded primary inductor. The SDR has a female SMA antenna input. On the PCB, you will also see through-hole direct sampling pads. The frequency stability of the TCXO is 0.5PPM. Out of the 3 antennas that the bundle consists of, 2 are fixed frequency while 1 is variable. It is quite affordable, especially when compared to its counterparts. If you are looking to transmit or receive signals that are below 1 GHz, this SDR is totally for you! With half-duplex capabilities to transmit and receive, data rates of around 500 kbps, and USB 20, this one really is a catch for SDR enthusiasts. The brand has clearly mentioned that the official operating frequencies are 300-348 MHz, 391-464 MHz, and 782-928 MHz and that the unofficial operating frequencies are 281-361 MHz, 378-481 MHz, and 749-962 MHz. It offers better sensitivity thanks to receive amplifier and better output power thanks to the transmit amplifier. 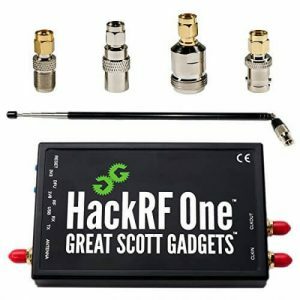 It is compatible with accessories that have been designed for HackRF One, making it really flexible and convenient. It only has a fixed-length antenna, which a few users have not liked. 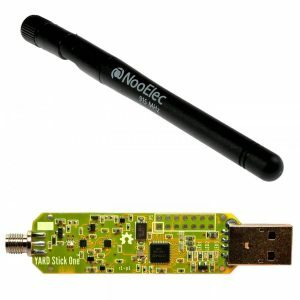 Do you want a neat little portable SDR kit? 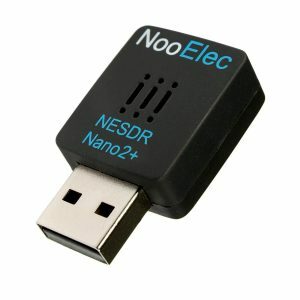 This product from NooElec is the right one for you. It is apparently the best one in the market right now for portable iOS and Android applications mostly because it allows remote installation. It is so tiny, it is just a 1” square! It comes with R820T2 tuner, which has better SNR and sensitivity than the previous R820T. It has ultra-low phase noise. In the bundle you will also get a remote control and a telescopic antenna. This tiny USB set is affordable and comes with 2-year warranty in USA and Canada. The brand also promises technical services during this period, which makes it a great buy. 25MHz-1750MHz is the frequency capability of this SDR and you will see no gaps in between. 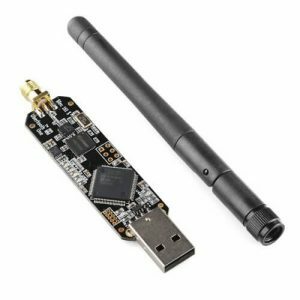 It is completely compatible with numerous software packages including SDR Touch, HDSDR, Matlab, SDR#, and more. Connector types: Male MCR on antenna and female MCR on SDR. Users report that even though it is small in size, it is powerful and easy to use even at a mile. Even though it is on the more expensive end, the Ubertooth One has a few distinguishing features that may justify the tag. It comes with a 2.4 GHz Duck Antenna and an expansion connector that enables inter-Ubertooth communication. Transmit and receive: 2.4 GHz. It has a total of 6 indicator LEDs. It is a fully open source platform that works perfectly for Bluetooth experimentation. You can use this device to monitor Bluetooth traffic and not just transfer & receive signals. Users say that setup can be slightly difficult or time-consuming but it works really well. This is a redesigned SDR that offers lower consumption of power, lower noise (around 1/10th noise when compared to others), and better sensitivity. It also has the improved R820T2 tuner. It is affordably priced and has 2-year product warranty. This is the perfect option for you if you are planning on learning software defined radio without having to spend too much. It comes with better EMI rejection. The bundle includes a telescopic antenna. 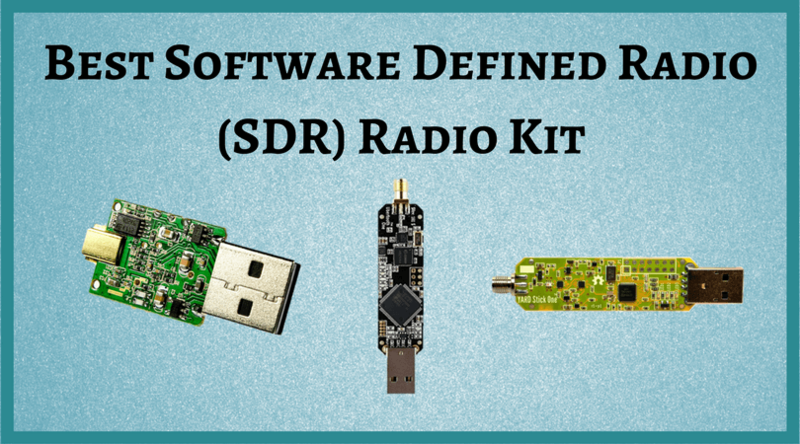 This guide will definitely help you purchase the best SDR radio kit based on your preferences. If you have any others to add to this list, we would love to hear from you!